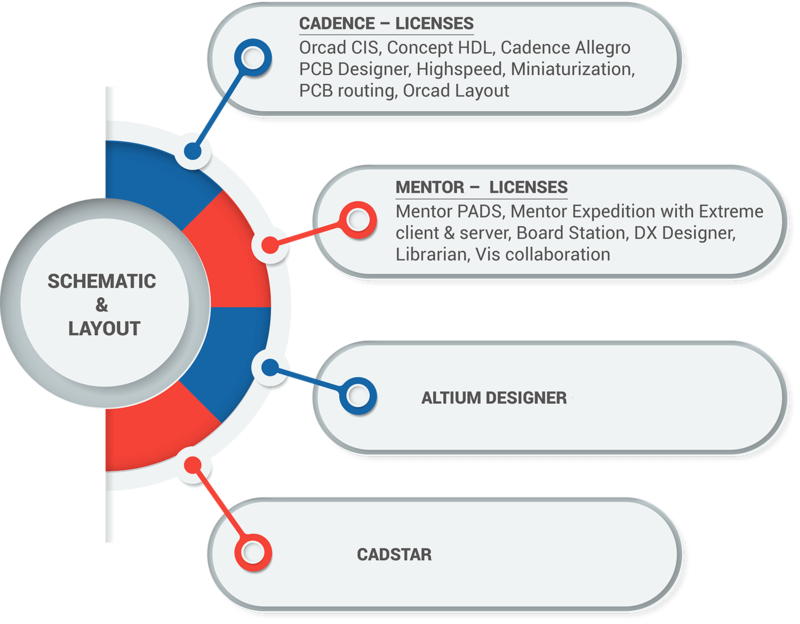 Sienna ECAD has a mix of inhouse trained engineers and lateral entry of engineers from Industry. Diploma, Bachelors and Masters in Electronics Engineering candidates are recruited as trainees after their college degree. The freshers are recruited after a stringent selection process and trained in various engineering divisions to get them upto speed on PCB design standards and CAD tool expertise. Sienna ECAD team is a mix of experience and youth and the average age stands at 30. Major festivals are celebrated at office fostering a culture of value and tradition. This is carried by the team into day to day work ethics ensuring customer satisfaction, self growth and motivated staff. 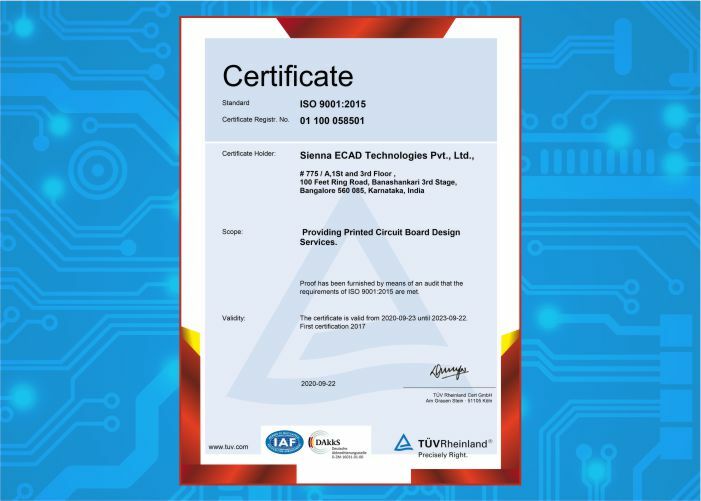 "Quality is an integral part of our commitments to Electronic design engineering services as per International Standards". SIENNA ECAD shall ensure "First Time Right" solutions to its customers through continuous improvement in expertise, shared learning and delivery methods. We are also committed to comply with the requirements and continual improvement of the effectiveness of Quality Management System. Process control by internally developed software SEEMS.